This internet can be so recursive on itself. Nada Dabbagh, Professor & Director Division of Learning Technologies at George Mason University (she is the person who invited me to teach a DS106 class for GMU starting now) emailed about an ironic event in one of her classes. She has an assignment where her students are asked to compare a constructivist learning environment and compare it to an objectivist learning environment. Without her prompting, one of the student groups had found and selected on their own, DS106 as the former. I’m fine with sharing it with anyone who is interested. I came across it largely by dumb luck. 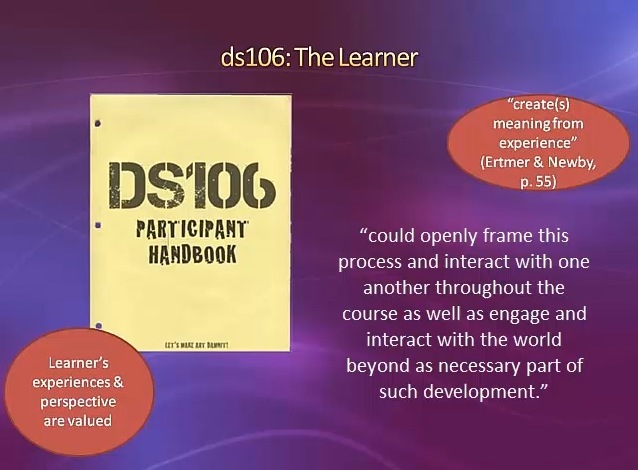 I had been trying to research MOOC’s as a possible option and came across the idea of a Connectivist MOOC. Then I came across a reference to ds106 as a constructivist MOOC on pinterest of all things (http://www.pinterest.com/pin/444026844482264651/), which led me right to their site. You can listen to the student’s project as a screencast at http://www.screencast.com/t/u4IzpiWe. I was impressed with how well they were able to encapsulate the characteristics of DS106 just from what they found on the web site. And now form the irony department. 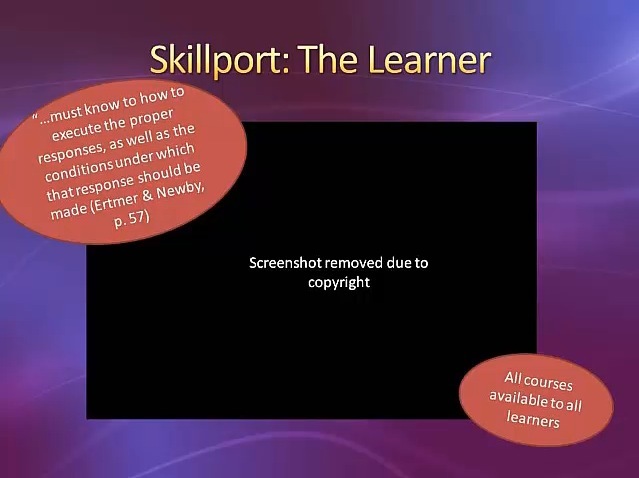 Apparently the objectivist course the students looked at, something called Skillport, would not allow the students to use screen captures of their site in the screencast. 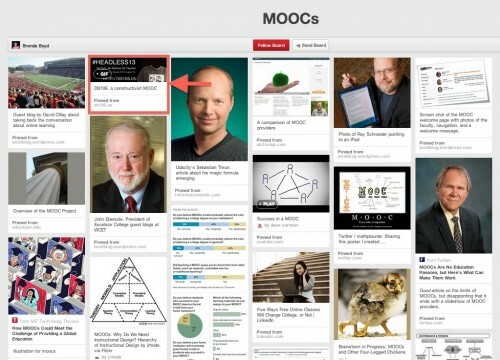 Several DS 106 boards on Pinterest including mine! I was fortunate enough to be a part of Dr. Dabbagh’s course and participate in the assignment.